Why they chose'Ramona' for a single, nobody knows anymore. But that the Blue Diamonds with their rousing version of the first hit of film history (the melody was written in 1927 to accompany the silent film'Ramona') 1960 a sensational sales success in the record industry is no question at all. 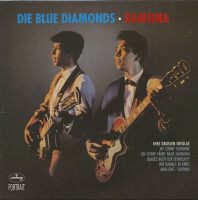 With the Blue Diamonds not only the international success of the Dutch beat scene began; the brothers Rudi and Riem Wolff, as they were called, also paved the way for numerous other bands of Indonesian descent, who with all the carelessness of their youthful age broke away from the conventions that determined the Dutch music market at that time. 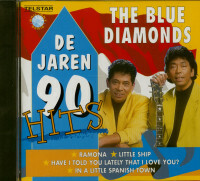 Like many young musicians of that time, the Blue Diamonds were also interested in the great hits that mainly came to Europe from the USA. But they did not stop at pure replaying, but developed their very own, instrumental pop style, which formed the basis of a long career. While other Indonesian colleagues like'Rene and his Alligators' or'The Tielman Brothers' who moved to Holland could at best count on a loyal following in relevant clubs, the Blue Diamonds immediately reached the top of the international charts. And were able to hold their own for several years against the strong Anglo-American competition. The Wolff family came to the Netherlands in 1949. Both brothers, who played the guitar perfectly and were exceptionally good rhythm & blues singers, started out in a Hawaiian band. 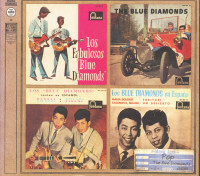 After all, it was the success of the'Everly Brothers' that led to the record debut of the Blue Diamonds. And if mockers at the time thought that everything the Everlys sang would go straight into the Diamonds' music portfolio, this selection of great successes shows that Rudi and Riem had indeed put together a specific Blue Diamonds repertoire. The interesting song mix ranged from the 1960 novelty hit'Itsy Bitsy Teenie Weenie Honolulu Strand Bikini' to the evergreen'All Of Me' and'Sukiyaki', the first bestseller to come from Japan, from own versions of American standards like'Red Sails In The Sunset' to German hits like'Lady Sunshine and Mister Moon', which were written especially for the Blue Diamonds. In retrospect, however, one recording towers above all the others, for'Ramona' was not only the first single ever to reach the 250,000 mark in Holland, but was also sold more than a million copies here. 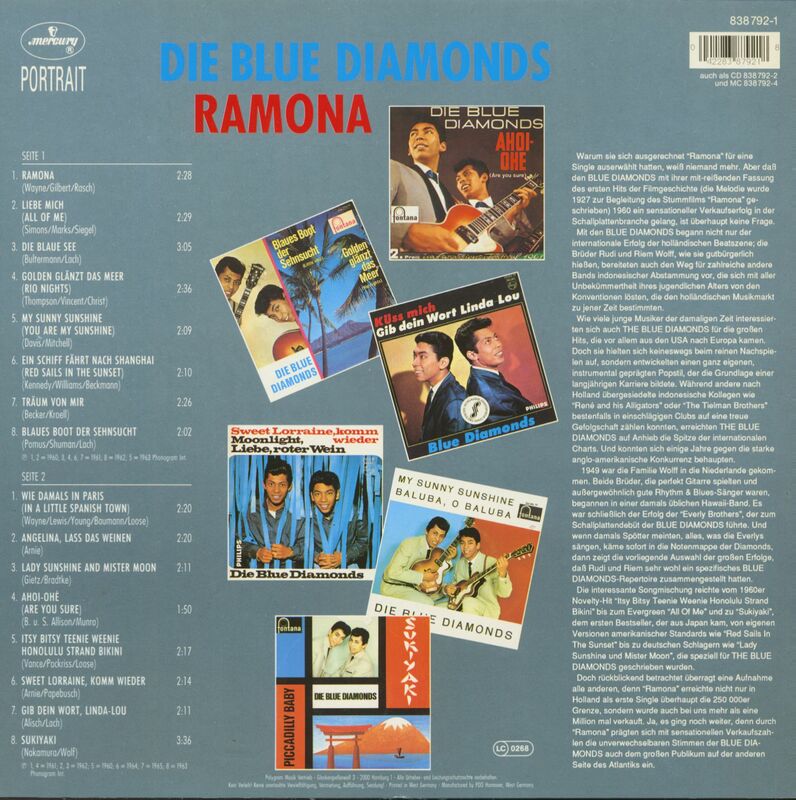 Yes, it went even further, because through'Ramona' the unmistakable voices of the Blue Diamonds also impressed the large audience on the other side of the Atlantic with sensational sales figures. The recycling of old hits has long since become an integral part of today's pop music. But it has also been practiced in earlier years. Why should what was once successful not inspire the audience again in new packaging? This may also have been the thought of the well-known Dutch producer and orchestra director Jack Bultermann when he looked for suitable titles for the Blue Diamonds in 1960. So he digs a little into the musical moth box and digs out a few noble hit beads of yesteryear. Well-known classics like All Of Me, You Are My Sunshine or Bye Bye Blackbird. Ramona is one of them. The title was already written in the 1920s by the then successful composer Mabel Wayne and was originally a slow waltz. Bultermann replaces the three-four time with a lively Fox rhythm. The sound of the song is also adapted to contemporary tastes. This modernized version not only helped the Blue Diamonds to a great career start on the German hit market, it also opened the door to international success. In 1949 the brothers Rudy & Riem de Wolff (born on 12 May 1941 and 15 April 1943 respectively) from Indonesia come to Holland with their family, which includes not only their parents but also a sister and a younger brother. They soon feel at home and their lives initially run quite normally. Like most young people, they are enthusiastic about music from an early age and are particularly enthusiastic about the hits coming to Europe from the USA. Whether Schlager, Rockabilly or Blues, they try to sing everything as true to the original as possible. At the request of his father, who plays the violin, flute and piano himself, Rudy and Riem are also to learn an instrument. And since stars like Bill Haley, Elvis Presley or the Everly Brothers are popular at this time, only the guitar is an option for them. After a short time they are already able to accompany each other in singing and found a small band at the end of the 50s. At this time, Dutch and Indonesian festivals are regularly held in the Netherlands to bring the different cultures closer together. For entertainment there are various musical performances and on such occasions the two have their first public appearances. One day they are discovered and signed by a record company's talent scout. 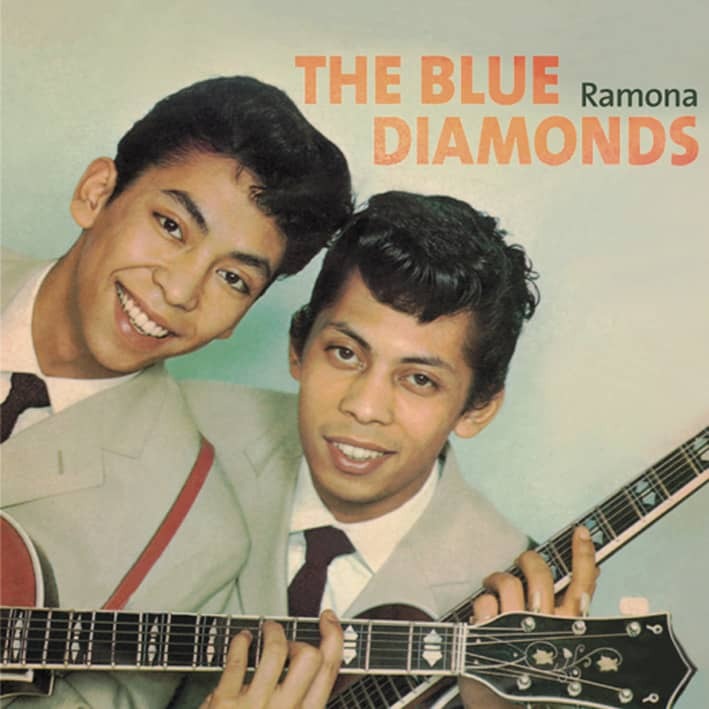 They made their record debut as Blue Diamonds in 1959 with Till I Kissed You, a hit of the Everly Brothers, who have a kind of role model function for them. And because the title runs quite well, originals of their American idols are also covered for the other productions, e.g. Cathy's Clown or Let It Be Me. But the record company of the Everly Brothers is not particularly happy about the competition. 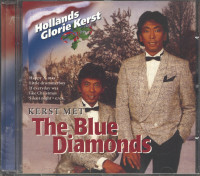 The versions of the Blue Diamonds are released in Holland earlier than the original recordings, which of course reduces their success. As a result, they are no longer allowed to record songs by the Everlys. The question therefore arises as to which titles they should include. Producer Jack Bultermann comes up with an idea that they don't think much of at first. He proposes to try it with old American standards and evergreens. The two brothers agree: "This is not for us. They want to sing rock'n' roll, not dusty and boring things from the day before yesterday. Bultermann will not be deterred. From the pool of old successful melodies, he selects eight songs that he considers suitable. After thoroughly reworking them, he gives them a contemporary sound. When the playbacks are done and the Blue Diamonds are played, they are also convinced. With their special singing style they give the songs the right kick. "And then we were very lucky," says Riem de Wolff, "We were given an appearance on Dutch television at very short notice because some artist had dropped out. Customer evaluation for "Ramona - Portrait (LP)"